A tiny baby bat was found all alone, underweight, covered in mites and cobwebs, with no mom in sight. 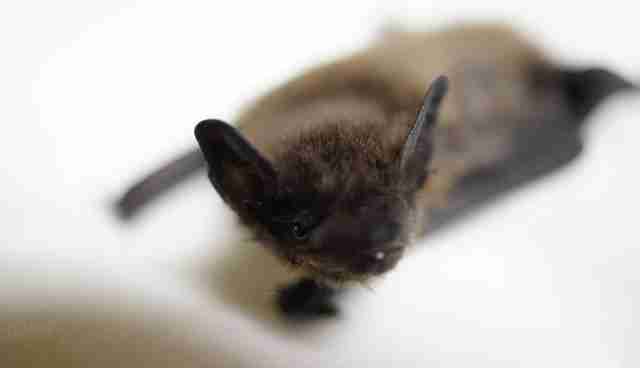 And when we say "tiny baby bat" we mean TINY. 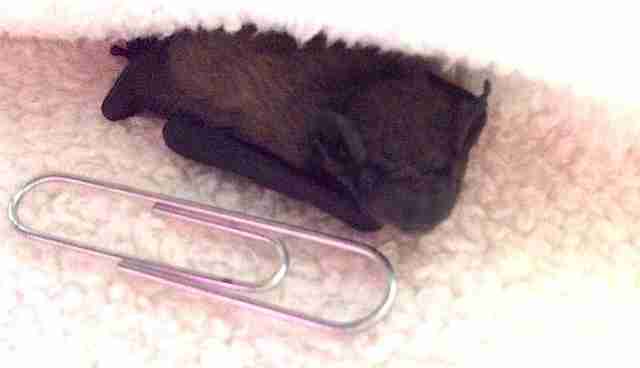 At 1.8 grams (that's 0.06 ounces) and just under a week old, he was the size of a paper clip when he was brought to Folly Wildlife Rescue in Tunbridge Wells, England. "He came in after being found in someone's house," Kaylee, a wildlife rescue worker with Folly, told The Dodo. "We were hoping to return him to the roost, which is what we normally do, as he may have accidentally fallen from mum." But given his poor condition, rescuers realized he was probably separated from his mom for a while. "His eyes were still closed and he was depleted and dehydrated," Kaylee said. "I rehydrated and warmed him up and got rid of the mites. He then came home with me." Kaylee fed the tiny bat every two hours, day and night. "It is really easy to overfeed during this period so you have to feel the belly before and after feeds to ensure they are ready for a feed and to know when they have had enough," Kaylee said. The tiny bat was looking stronger, and so Kaylee decided to try introducing him to another, slightly older bat being rehabilitated. "Being sociable creatures, they are so much better with company," Kaylee said. "So I tested it while keeping a watchful eye. Thankfully big brother went straight over and started grooming his little brother and then cuddled up together." 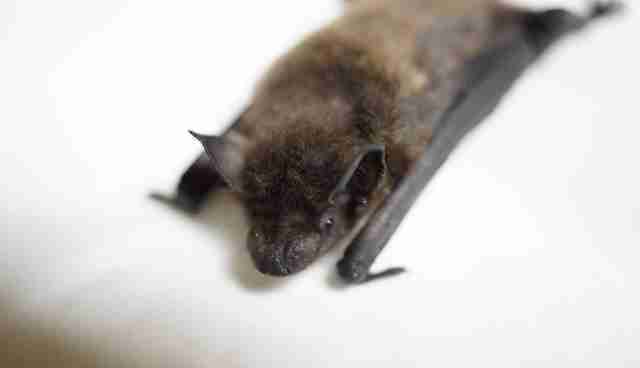 By the time he was 3 weeks old, the tiny bat had not only bonded with his adoptive older brother - he'd started eating solid food (mealworms) and begun his flying lessons. These involved Kaylee "running around the room to get him wherever he fell." Now he weighs over 4 grams and is flying beautifully, doing circles around the room. 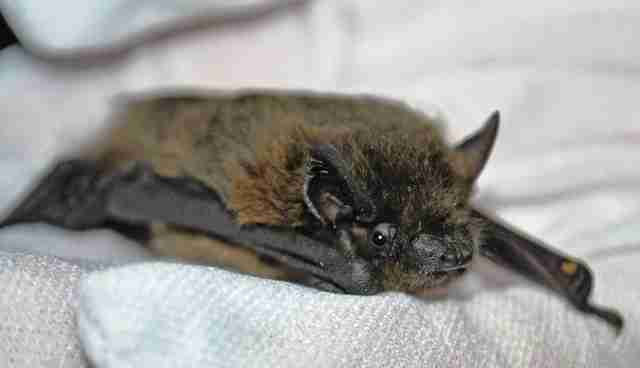 Soon, he will be going to a bat carer in West Sussex to join a group learning to catch insects for themselves. "He will have plenty of flight practice until they are ready for a soft release," Kaylee said. Click here to learn how you can help the animals Folly Wildlife Rescue saves.